It sounds good – I am not sure if it is completely airtight but fairly close at least. And pretty much in tune as well. Impressive form such an old mechanical instrument! 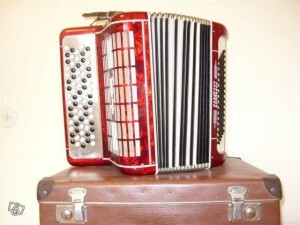 Yesterday I was trying out the accordion without anything besides my logic. I knew that the left hand was the bass side and that it was chords organized accordion to the circle of fifth. I figured out that there where different kinds of the same chord outside of each other. The right hand side is easier in a way, since it is supposed to play melodies primarily, and the colour of the knobs are like on the piano – white for c-major, black for sharps/flats. So I managed to figure out the children’s song “Lille Katt” with chord yesterday. I thought I played it in C, but it was in G I discovered today when I checked out Hans Palm’s webpages about the bass and melody side. So now I am thinking which song I should try to learn: Should I choose a traditional Swedish accordion song like Flottarkärlek oI try to learn an “easy” Christmas song like Jingle bells or just jump onto a song which I actually would like to play like Nordnorsk julesalme. I’ll have to sleep on it! 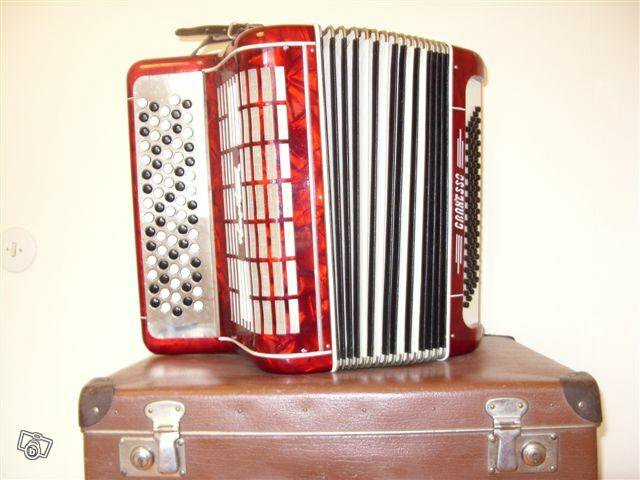 Some songs can be found on wikifonia or elsewhere which might be an advantage for me since I usually lean onto sheets, but I would like to train my ear playing on the accordion so I really do not know! This entry was posted in Me learning the accordion. Bookmark the permalink.